Android Honeycomb to be upgraded to V3.1? Rumours are already building of the update of Android’s 3.0 OS aka Honeycomb. 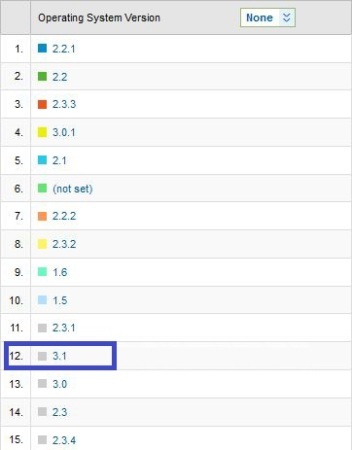 Android Central says that a new update called v3.1 is said to be under testing and this they got to know through Google Analytics. Honeycomb tablets are starting to hit markets and it seems to be a very stable and liked platform among the consumers. If the update rumour is true, then it will be a treat for tablet users. Google had earlier announced about their new ‘I’ version of Android, which we are anticipating and eager for a glimpse. Well, we shall provide you with any related info if we get a buzz.